For generations, Americans could reach middle class status with just a high school education. Today, however, millions of the jobs in a variety of diverse industries that made the “American dream” possible for individuals with a high school diploma have been made obsolete by technological advances or competition from emerging countries. Meanwhile, the skill requirements for all types of jobs continue to increase. Most of today’s jobs require postsecondary-level skills backed by credentials that signify the acquisition of increased knowledge and proficiencies. According to the Lumina Foundation, about 24.2 million adults in the US will earn some level of postsecondary credential by 2025, assuming current rates of degree and certificate outcomes remain constant. But to reach Lumina’s goal of ensuring that 60 percent of Americans hold some type of credential by that year (a figure that represents the increased level of preparedness new high-tech manufacturing and digital economy jobs require), another 16.4 million traditional-aged workers must earn credentials. Reaching those numbers will be a challenge—but also an opportunity. One of the primary values of credentials in such an environment is their ability to increase the mobility of individuals in the workforce—especially those who have previously not been qualified or skilled enough to enter high-tech, high-skill positions. In October 2015, 150 organizations came together to hold the first National Summit on Credentialing. The goal of the summit was to develop a shared vision of what credentials and a credentialing system should look like in the 21st century. Among the components of that vision is that—because all learning matters—credentials should be based on learning outcomes and competencies rather than seat time in a particular program. Another component is that credentials should be portable, transferable, transparent, useful, and easily understood by students, workers, and employers. These principles are essential for developing a credentialing system that allows individuals to show what they know and are capable of doing in the workplace, and that enables economic and social mobility for all individuals. Such mobility is a necessity for individual, business and societal growth. ACT’s mission has always been to assist individuals in their pursuit of education and career success. That’s why I’m proud to say that ACT is working with Lumina and other like-minded organizations to support the kinds of credentials individuals need to enter into sustainable, high-skilled, high-demand careers. 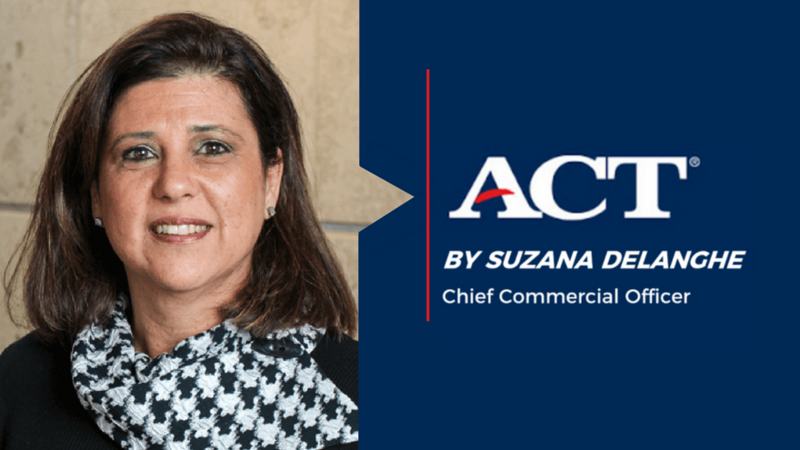 ACT is working to ensure that the ACT WorkKeys National Career Readiness Certificate (NCRC)—our empirically researched, widely used credential highlighting foundational workplace skills—connects seamlessly and coherently to industry-specific credentials. Using the NCRC, both new entrants into the workforce and current workers who are looking to advance their careers can demonstrate foundational skills that connect to industry-specific goals. That, in turn, can better position them for available jobs or enable them to enter into training programs to learn the job-specific skills necessary for succeeding in others. By working to provide more individuals with access to the kinds of credentials necessary to enter into and compete in today’s high-tech business environment, ACT looks forward to helping people find new opportunities to advance their careers and build long-term, sustainable pathways to economic success.